USC and Ohio State had a goal other than the Cotton Bowl in mind when the season began. Both had visions of playing for a national championship this season in mind. For both, it was a distinct possibility as they entered Championship Week. But both needed to win and get a little help. So, instead of looking forward to one more game and hopefully a second, they end their season on Friday in the 82nd edition of the Cotton Bowl Classic against a very tough opponent. The last time USC played in the Cotton Bowl was back in 1995, a 55-14 win over Texas Tech. Ohio State has not played in a Cotton Bowl, but they did play in AT&T Stadium just a few years ago. When they were there last back in 2015, Cardale Jones and Ezekiel Elliot led the Buckeyes to a national championship. J.T. 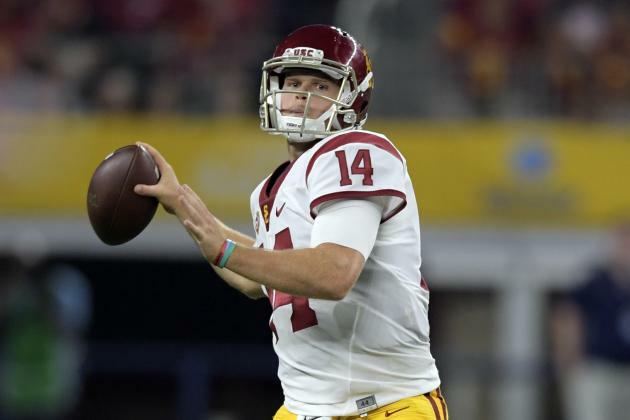 Barrett was out with an injury in 2015 but would love to end his college career by guiding his team to another win in the ‘House That Jerry Built.’ But Sam Darnold and the rest of the Trojans will have something to say about that. For USC, it is pretty cut and dry. 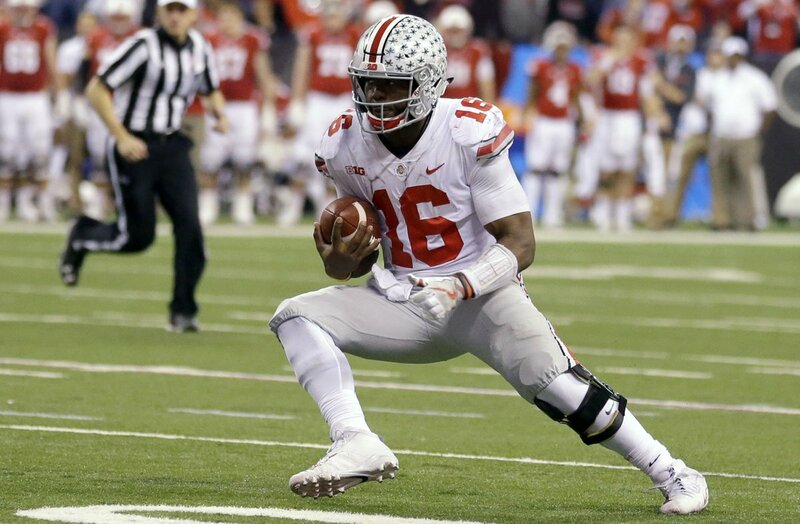 Slowing the Buckeyes running game is easier said than done of course (No. 15; 249.4 yards/game). Freshman J.K. Dobbins is a force to be reckoned with (181 carries for 1364 yards and seven touchdowns) as is J.T. Barrett (149 carries for 732 yards and ten touchdowns). When needed, Mike Weber can step in and get the job done as well (96 carries for 608 yards and ten touchdowns). Should defenses slow down the Ohio State run game, there is still the passing game to worry about. Throwing the ball isn’t J.T. Barrett’s strong suit, but he isn’t half bad at it. He’s completed 64.7 percent of his passes this season for 2939 yards and 35 touchdowns with just nine interceptions. USC isn’t necessarily bad against the run, but they aren’t great at stopping it either (No. 55; 158.3 yards/game allowed). Their pass defense isn’t the strongest either (No. 96; 245.5 yards/game allowed). But the Trojans don’t win games by stopping other teams from being successful on offense. They win by being more successful on offense. Sam Darnold has had some struggles this season, but in the end, the Trojans still had the 18th ranked pass offense in the country (294.6 yards/game). When they struggled or lost, they had trouble getting the running game started. But over the course of the season, they still averaged over 190 yards a game on the ground. However, Ohio State happens to be one of those rare teams that is strong on offense as well as defense. Their defense has only allowed 108 yards/game on the ground (No. 8) and just 183.5 via the passing game. Ohio State has inflated stats thanks to an easy schedule. If they were as good as the stats say, Oklahoma and Iowa would not have dominated them. So, does that give USC, a team that can throw the ball around like Oklahoma, the edge? Then again, USC lost to a pass-heavy team (Washington State) and a run-heavy team (Notre Dame). So—does anyone have an edge in this game? The oddsmakers seem to think the Buckeyes are 7.5-point favorites. Looking at the stats, it is easy to see why that is. But don’t count on either team winning by a touchdown. With that spread, take USC and the points.